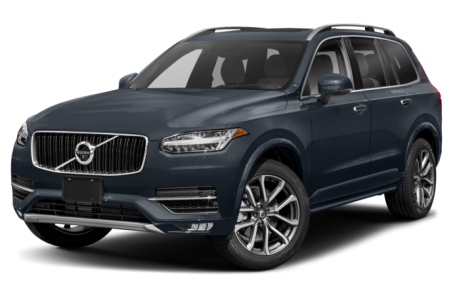 The 2019 Volvo XC90 is a full-size luxury crossover that seats five passengers across two rows or seven across three. Maximum cargo capacity is 85.7 cubic feet with the rear seat folded down. Under the hood, the XC90 T5 is powered by a 250-hp, turbocharged 2.0-liter four-cylinder engine mated to an eight-speed automatic transmission. Front-wheel drive comes standard, while all-wheel drive is optional. The T6 models come with a more powerful 316-hp, turbocharged and supercharged 2.0-liter four-cylinder engine mated to an eight-speed automatic and all-wheel drive.